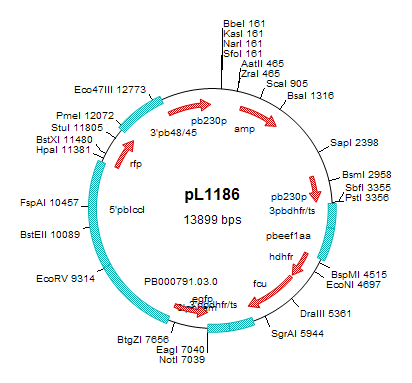 Other information parent line P. berghei ANKA 820cl1m1cl1 (RMgm-164) is a reference ANKA mutant line which expresses GFP under control of a male and RFP under control of a female gametocyte specific promoter (PubMed: PMID: 19438517). The mutant lacks expression of the P48/45 protein and expresses GFP under the control of a male specific promoter and RFP under the control of a female specific promoter. This mutant shows the same phenotype as mutant RMgm-15 which has been characterized in more detail. This mutant has been generated to be able to distinguish the female gametocytes/gametes and ookinetes based on their RFP expression in cross-fertilisation experiments with fertile males of other mutants (see below) and for determination of meiosis in cross-fertilisation studies. Meiosis in zygotes is determined by FACS analysis of the DNA content of Hoechst-stained gametes/zygotes selected based on their RFP-fluorescence. Mutants lacking expression of P48/45 are frequently used in cross-fertilization studies in which the fertile females are used to test the fertility of males of other mutants (Khan et al., Cell (2005) 121, 675-87; Raine, J.D. et al., PLoS Pathog (2007) 3,e30; Ponzi et al, 2009, Cell Microbiol. 11, 1272-88). RMgm-346: An independent mutant lacking expression of P48/45 which expresses GFP under the constitutive eef1a promoter. 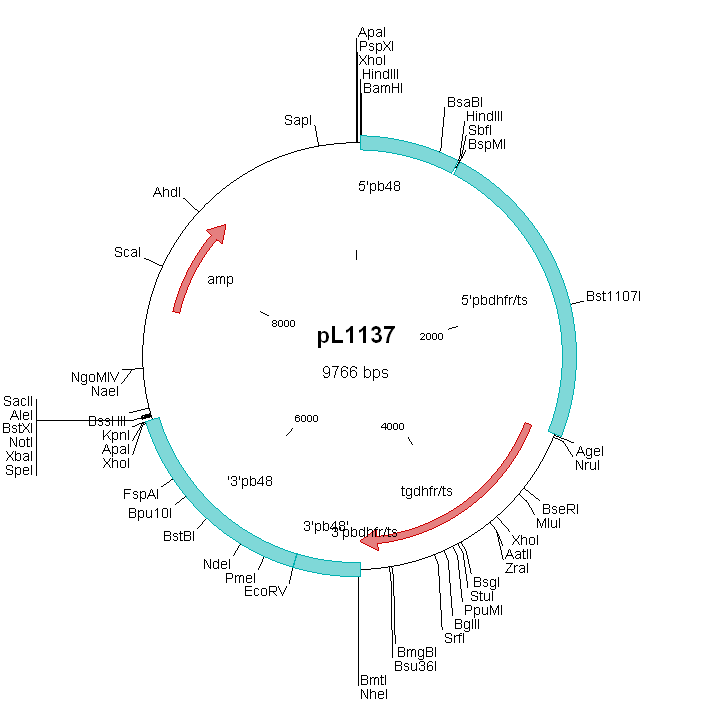 This mutant shows the same phenotype as other mutants lacking expression of P48/45. This mutant has been generated to be able to distinguish the female gametocytes and ookinetes based on their high GFP expression in cross-fertilisation experiments with fertile males of other mutants.